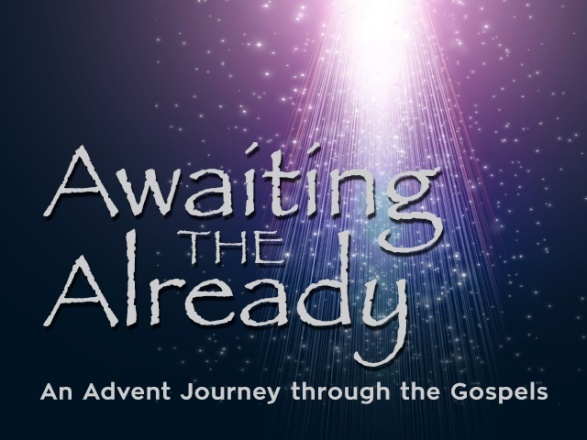 ADVENT THEME — "Awaiting the Already"
At times in the Christian church year, we are asked to reflect upon what has already taken place, the realities of the world as it is, and God's promises for the future. Advent is one of those times. This year's Advent theme is based on Magrey deVega's book, "Awaiting the Already: An Advent Journey Through the Gospels." In it, deVega explores the approach each gospel writer takes in describing Jesus' first coming and how that approach reflects a particular perspective or theology. Knowing God is not bound by time nor space, we will consider Christ's kingdom – a future hope for us who exist in this earthly realm – as perhaps already a reality in God's realm. We will also contemplate parallels between the era when God's people awaited a messiah and our own waiting for Christ's second coming. I look forward to spending this season of anticipation with all of you, as we Await the Already.